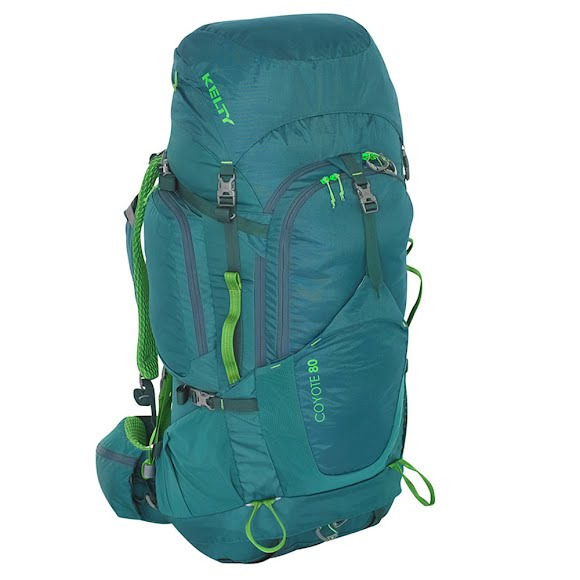 Tried and true, the Kelty Coyote 80 Internal Frame Pack is a fully-featured load hauler ideal for extended trips into the backcountry. PerfectFIT™ suspension offers one-size-fits-all versatility and comfort with an on-body adjustment system. Dual LightBeam™ aluminum stays give this pack outstanding support for heavy loads. Tried and true, the Kelty Coyote 80 Internal Frame Pack is a fully-featured load hauler ideal for extended trips into the backcountry. PerfectFIT™ suspension offers one-size-fits-all versatility and comfort with an on-body adjustment system. Dual LightBeam™ aluminum stays give this pack outstanding support for heavy loads. Restyled for 2016, the Coyote now offers a sleeping bag compartment to keep your gear organized and make packing a breeze. Plus, the top lid converts into a sling pack. Measurements 34" x 17" x 14"